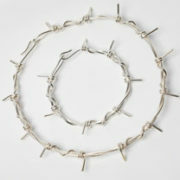 The medium Barb Wire Necklace is the most popular neck piece of my range of contemporary barbed wire jewellery. 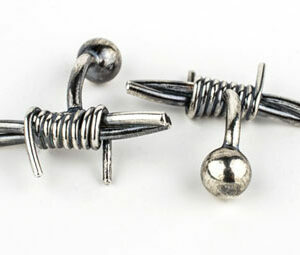 It'sperfect for both men and women. 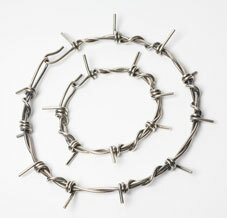 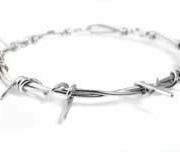 The medium Barb Wire Necklace is a necklace designed for both men and women and it forms part of my range of contemporary barbed wire jewellery. 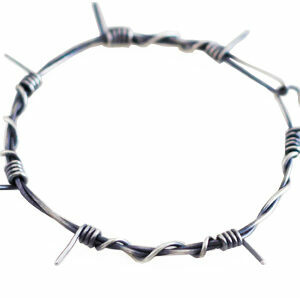 It’s made from 2mm round silver wire, twisted and formed to resemble barbed wire. 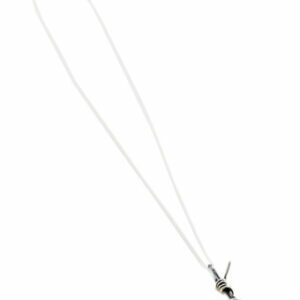 All my necklaces can be hand made in any neck size size, choose your size from the drop down menu. 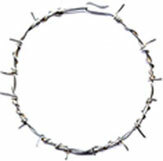 The barbed wire necklace has a built in hook fastener around the back so the necklace continues all the way round the neck. 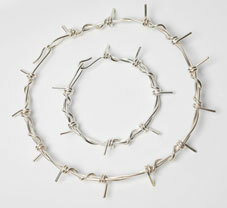 It is offered in two different finishes, select either a polished finish or a oxidised (blackened) finish. 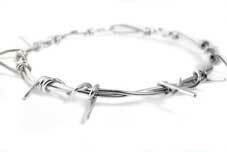 To compliment your new necklace, why not buy a pair of Barb Wire Earrings or a Barb Wire Bracelet. 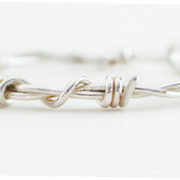 It will be sent gift boxed with free UK delivery.